Children under 10 year age FREE entry. ✔️ This ticket is proof of purchase of the above event and must be presented at the time of Event. ✔️ This ticket is non-transferable and only one ticket is valid per ticket purchased. ✔️ Tickets are not to be duplicated for the purpose of falsifying entry. ✔️ Refunds are available at the discretion of the Event Organize or please choose carefully as there are no refunds. ✔️ The Event organizer reserves the right to refuse entry. ✔️ Tickets cannot be on sold by any means at a price greater than the purchase price of the ticket. Scalped tickets may be cancelled and the ticket holder denied entry. ✔️ This ticket is your TAX INVOICE (add details including GST / VAT and company information such ABN for Australian companies). ✔️ Alcoholic beverages are not allowed in premises. 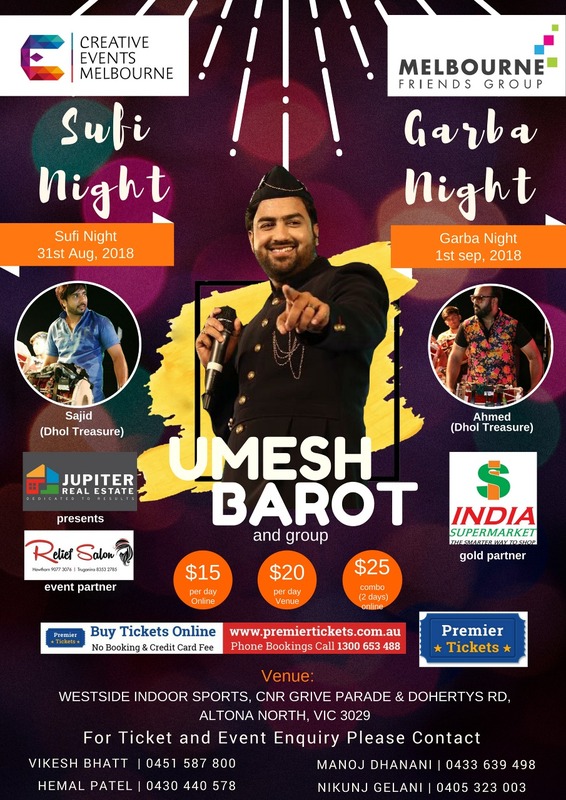 Melbourne Friends Group & Creative Events Melbourne organizing SUFI & Garba NIGHT 2018 with Umesh Barot. Book your tickets for a delightful evening of Bollywood songs, Bollywood Bhangra, Public Demand and celebrate night of music and fun. Umesh Barot is an Indian versatile singer. He is recognized as one of the leading artists in music industry. His live performances are described as highly entertaining and innovative. His vocal texture is brilliant. The way he emotes and the soul he puts into each song is exemplary. So If you like a folksy-style of singing and really good quality music, We highly recommend you to join us to have fun with none other than Umesh Barot. 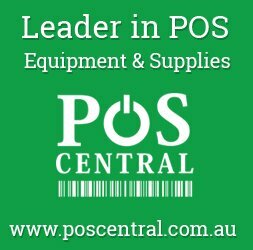 Hurry and book your ticket with Premier Tickets Australia. Premier Tickets is an online event marketing and ticketing agency. Premier Tickets will NOT be responsible for any changes related to the event schedule, artist, venue or cancellation and refunds related to the tickets for Sufi & Garba Night with UMESH BAROT Live in Melbourne Event. Premier Tickets Australia is proud to be the online ticketing partner for Sufi & Garba Night with UMESH BAROT Live in Melbourne on 31st August and 1st September 2018 @ Westside Indoor Sports.